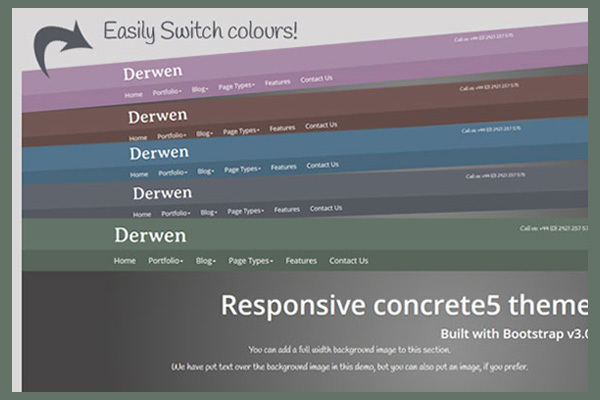 Derwen is a responsive concrete5 theme built using Bootstrap v3.1. 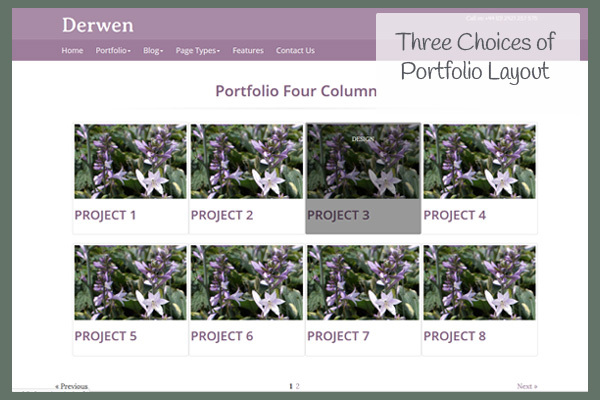 The theme provides 5 different colour themes, changeable in the dashboard with our theme switcher, and multiple layout options. 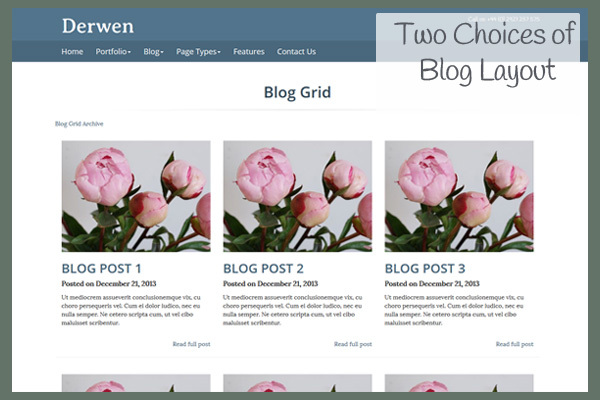 The theme comes with instructions and custom templates for creating blogs and portfolios. New! Responsive video support added. Responsive design built with Bootstrap v3.1. Your website will look good on mobile, tablet or computer. 5 different colour themes – Wild Rose (pink), Nut Brown, Dusk Blue, Slate (dark grey) and Oak Leaf (green). You can change the theme colours easily from the dashboard, using our theme switcher. Multiple page types – Home V1, Home V2, Full, Right Sidebar, Left Sidebar, Three Columns, Two Columns, Three over Two, Blog Entry and Portfolio Item. Font Awesome v4.0.3 included, along with an example of how to use with concrete5. Bootstrap v3.1.1 glyphicons included, along with an example of how to use with concrete5. Full width background image area using Backstretch.js, on Home Page V1. Uses Google Fonts (Averia Serif Libre, Handlee, Lora and Open Sans). “Call to Action” block included. Use this block to create a button to link to a page in your site. Highlight box block included. Use this block to add some text inside a coloured box that matches your theme. Social icons block included. Use this block to easily add some social icons and links to your site. Thumbnail block included. Use this block to add an image, some text and a call to action button with a nice hover fade effect. User guide - 19 page guide included as a PDF in the Derwen package's folder.